Flavours I Luv: " My First Liebster Blog Award "
Friends, two weeks back I was honored with my First Liebster Award by Aara from Shweet n Spicess; I was very happy to receive the award. Thanks Aara for sharing this award with me. 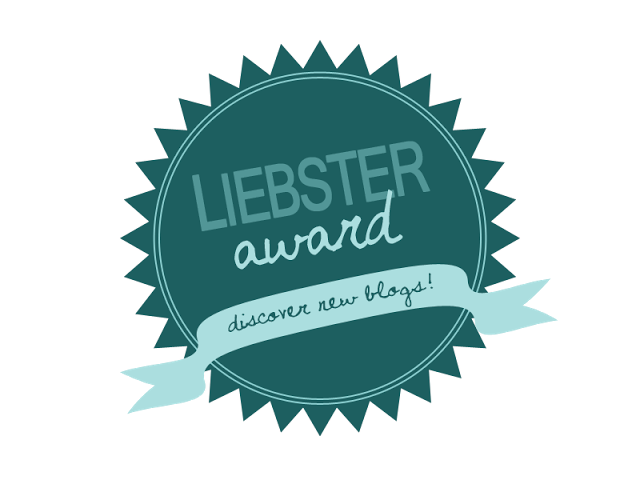 Liebster Award is a kind of E-award given by one blogger to another. Also this award is given for those blogs with less than 200 members. The word Liebster means dearest/favourite in german, the purpose of giving these award is to encourage a new blogger and introduce them among other bloggers. I am happy to receive this award and get connected with all the other lovely bloggers! What do you need to do when u receive the award? Pass the awards to others by nominating about 5-10 new bloggers who has less than 200 followers. Add the award logo in ur blog post. Thank the blogger who nominated u for the award. Answer the questions asked by the blogger. Frame 10 questions for ur nominees. Notify ur nominees by sending them a comment. 1. What did u understand with the concept of blogging? 2. What are the things that changed after u started blogging? I got more interested to try new recipes, to present it and became more interested in food photography. 3. If you are a food blogger do ur family and friends support ur efforts? 4. How is ur blog different from other blogs u came across? Every blogs have their own specialities, some attract us with their write-ups, others with presentation style, and some with their photography skills. I am always trying to make my recipes simple and unique. 5. Do u have virtual friends? How does it feel when u interact with them? Yes, I have. That's lovely to interact with them. 6. What is ur new year resolutions and why? 7. One thing u can change about your self? 8. One thing u always fantasy about u can have? I am satisfied with all that god gifted to me, ha! I have a dream to open a boutique. 9. 5 things u love the most? 10. Blogging is a different World!! What if u were not a blogger? and what if u have to quit blogging anytime? My boy wanted to see me as a blogger, my friends and my hubby's friends gave me compliments and asked about the recipe whenever I served them. These are the reasons for me to start the blog. Now I am also enjoying this a lot. So no plan to quit. If I quit blogging I will spend that extra time for chit chatting with my family. 11. Who inspire and motivate you to cook? My hubby, I started cooking only after coming to Dubai. He always appreciated me on whatever I did, that made me confident. I know that the most of the bloggers mentioned above are famous and active than me, but I dont know that they got this award anytime before. So congrats, my lovely bloggers. 1) How did you get introduced to blogging? 2) Any obstracles to blogging? how did you overcome them? 3) Apart from Indian food which is your most favourite food? 4) Your favourite dish from ur blog? 5) Any two recipes which you would like to try from my blog? 6) How you make your kitchen fresh and neat? 7) At what age did you get ur hands on cooking? 8) Your likes and dislikes? 9) How did u pick ur blog name? 10) Describe yourself and ur blog? Congrats on getting the award and thank you for passing it to me.Loved reading more about u,Shaami.